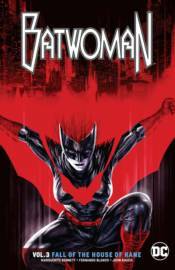 After her deadly trip around the world hunting the infamous Many Arms of Death, Batwoman returns to Brussels, the site of her most brutal losses and memories. As the clock begins to tick on a new cycle of violence, Kate must overcome her haunted past to ensure her terrorist foes don't begin the New Year with a bang! Collects issues #12-18.